When I was a child Christmas wasn’t that big of a deal in my family. 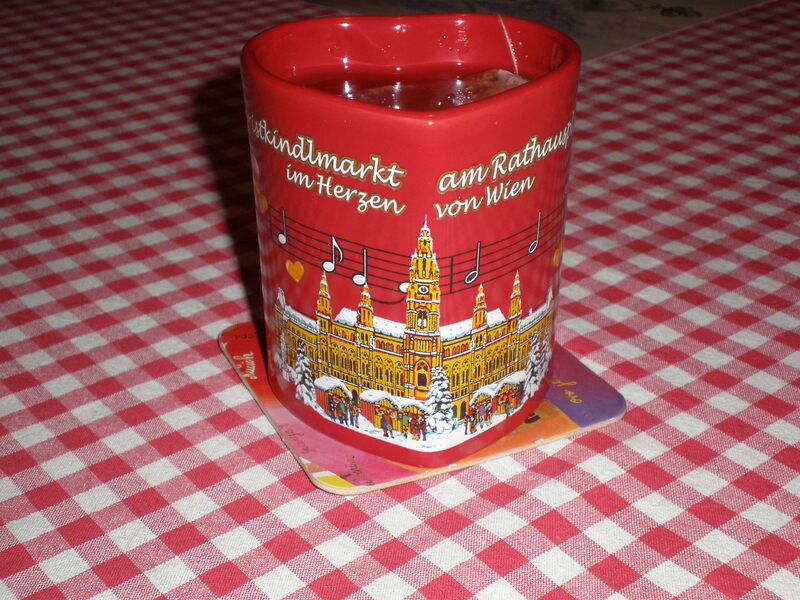 Yes, we put up the Christmas tree and my mum baked a lot of cakes but somehow it was my birthday that stole the show or the fact that I got presents for St.Nicholas Day (6th December). Yes, I was born in the week before Christmas so I rarely got double presents (it was usually just birthday gifts and not birthday and Christmas presents). However, I always got sweets&chocolates for St.Nicholas Day. And a decorative twig (rod) from Krampus so that I continue to behave well. Things have changed since my childhood and now I get double presents (for my birthday and for Christmas but not anymore for St.Nicholas Day ). I have always wanted a chocolate Advent calendar but I got it maybe once or twice when I was a child and then I became a teenager and I didn’t want to be bothered anymore with those childish Christmas traditions. 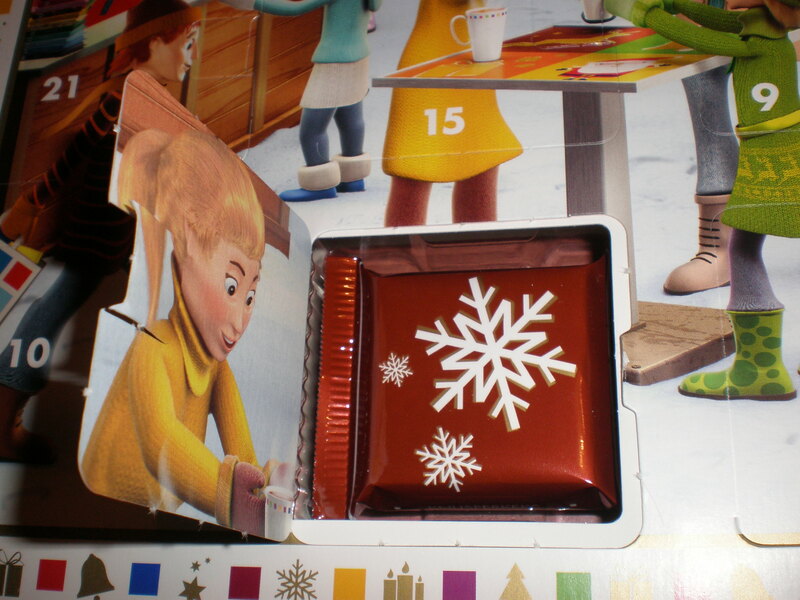 So, when I finally moved out I bought myself a simple, cheap milk chocolate Advent calendar. I was pleased as punch with myself!I waited anxiously for the first of December to arrive so that I could open the first window on my advent calendar and eat the first chocolate. When I felt especially magnanimous I shared the chocolate with my boyfriend. But that wasn’t very often :). Anyway, it requires a certain strength of the character to open one window /chocolate at the time for 24 days, don’t you think so? 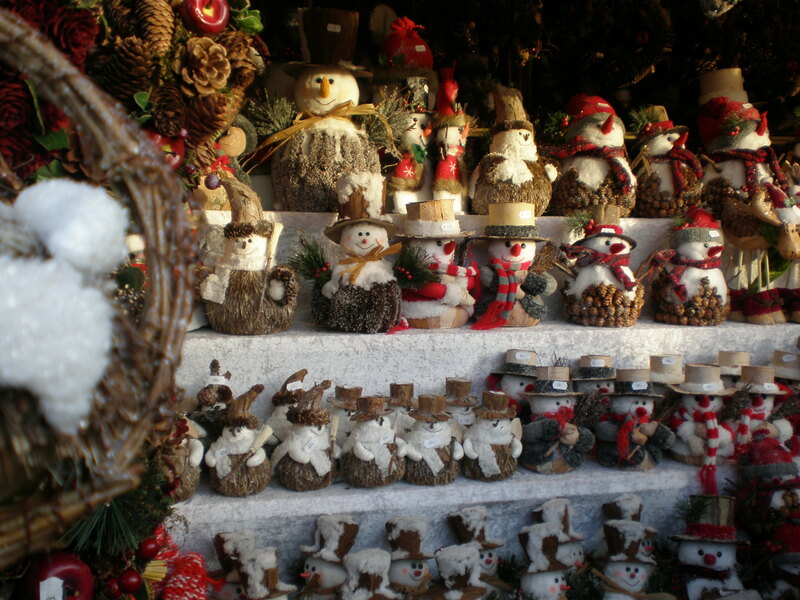 On Sunday I went shopping for this year’s Advent calendar. I decided to splurge a bit and not get the most simple milk chocolate calendar. I was standing in front of the shelf with the advent calendars discussing out loud the pros&cons of each of them with my husband when a lady approached me and said :˝ It doesn’t really matter which one you get. It’s not as if they are going to let you try it!˝My husband burst out in laughter and I blushed. That lady must have thought that I was buying an advent calendar for a child and not for myself :). I had trouble deciding which one to get, I was torn between Lindt & Milka & Ritter sport chocolate calendar. In the end I opted for the Ritter sport chocolate advent calendar because I really like those chocolates even though I rarely buy them. This morning I got the first chocolate. It had a snowflake on the wrapping and it was so delicious. It was chocolate with biscuit. I’ve got lots of more flavours to look forward to such as hazelnut, marzipan, honey etc. I wonder what I’ll get on the last day? So do you buy a chocolate advent calendar? Aww, I’m glad you finally got to experience the simple joy of an Advent Calendar! I have one from Thorntons chocolate shop this year – my mum very kindly treated me, even though I moved out of home six years ago! I’d love to hear more about St. Nicholas Day and Krampus – I’d never really heard of either before! It’s so cute that you buy yourself an advent calendar; one of the guys in our Finance team bought each of us an advent calendar this year…one of the girls has eaten all the chocolates already…no self control and no it wasn’t me! That’s so cool you get yourself an advent calendar! I’m lactose-intolerant so I can’t get a normal one… I wonder if there are lactose-free ones out there?! I would totally by myself an advent calendar too – I can imagine how funny it must have been when the lady at the shop thought it was for a child! 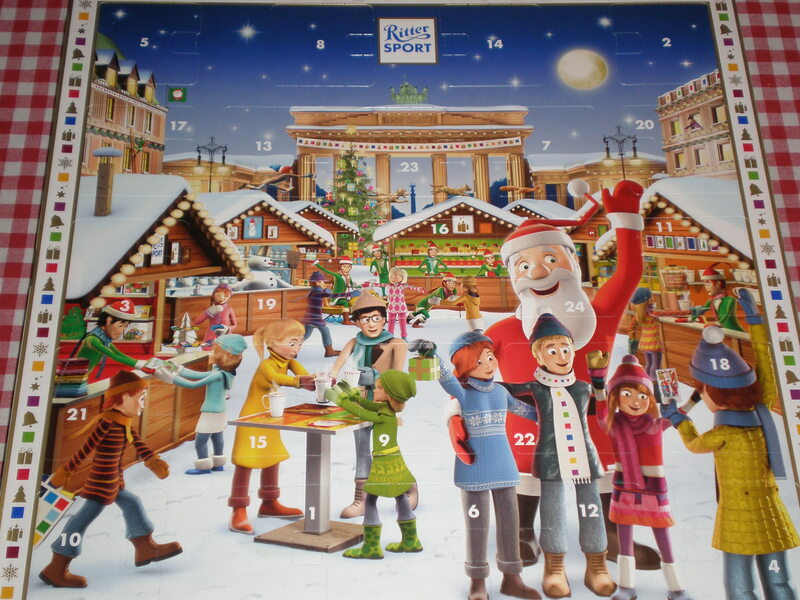 I hadn’t even realised Rittersport do advent calendars as I love those choccies! Deciding which advent calendar to get is a very important decision! I don’t get one anymore though – either I forget to eat a new one every day or my husband just ends up eating both of ours! Man, I’d totally love a chocolate advent calendar! Don’t know why I haven’t done that in years, but now I’m on a diet this year so it’s zero chocolate! Not sure how I’m going to handle Christmas! I have a November baby so I know how you feel! A friend from school was born on 19th December so she always felt like her celebrations were overshadowed by Christmas. Enjoy the rest of your advent calendar. It sounds yummy! I always have a soft spot for almost-Christmas babies – they get such short shrift on parties & presents…! I have a December birthday too so had a similar problem!! We get an Advent calendar each now though….. why should children have all the fun!! I agree! Cool, so you’re a Sagittarius too? Loving your calendar!! I don’t think I could just eat one at a time though. I never had an advent calendar until 5 years ago when I moved to England, it was never something we had growing up. I’m completely on board with the tradition of having a piece of chocolate every day though! 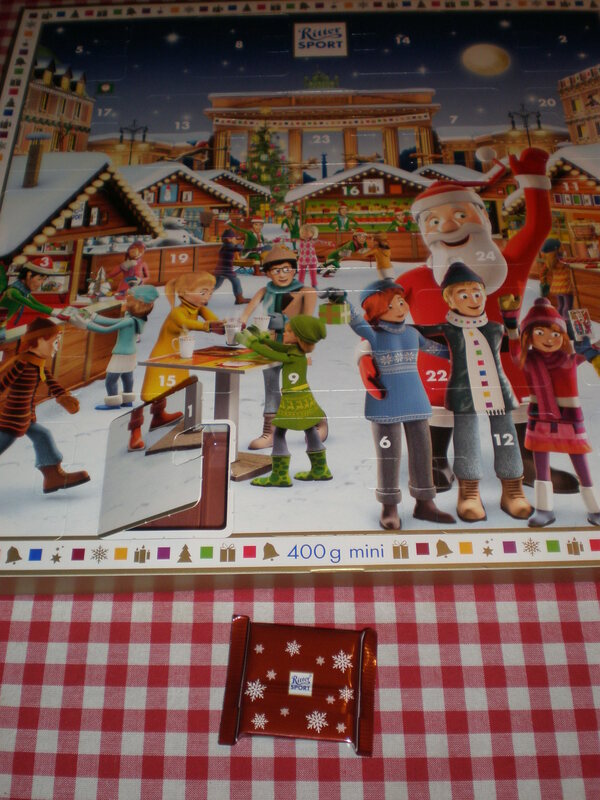 I love the tradition of advent calendars, especially those containing chocolate! We bought some over from the UK for my niece and nephews here in Chile and they are so excited to open them today after school 🙂 Sadly, I don’t have one this year! Those chocolates look amazing! I’ve never seen an Advent Calendar with wrapped-up chocs in it before. Hope one is enough for you. We’ve got a lovely felt one for our two boys. It’s over six foot long and there’s a little felt bag by each number which you fill with goodies. I usually put in a couple of Lindt reindeers and snowmen into each one and this year, some of those wrapped up chocolates that look like Brussels sprouts! Yes, it is:) Your sounds amazing too:) I’m sure the boys love it!